See exactly what is going on in your favorite Costa Teguise sports bar bar every day and night whilst you are here. There is information on all the sports events each day. 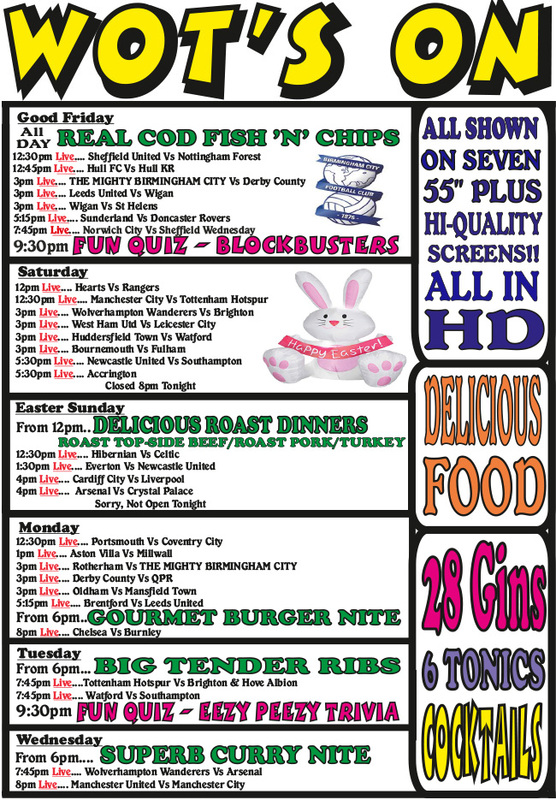 Guide to the daily quizzes and what great food you can come and enjoy in the restaurant.